Stanford University is ranked first in Artificial Intelligence and Carnegie Mellon University is placed in second. Artificial intelligence (AI) is the intelligence exhibited by machines or software, and the branch of computer science that develops machines and software with human-like intelligence. 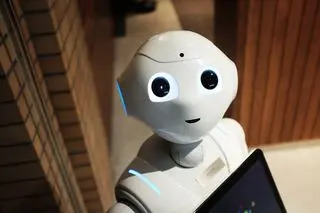 Major AI researchers and textbooks define the field as "the study and design of intelligent agents", where an intelligent agent is a system that perceives its environment and takes actions that maximize its chances of success. John McCarthy, who coined the term in 1955, defines it as "the science and engineering of making intelligent machines". 6 public and 4 private schools are ranked in the top 10 Artificial Intelligence colleges. The average acceptance ratio of the schools is 25.50% where Stanford University has the tightest acceptance ratio of 5% and University of Illinois at Urbana-Champaign has the highest ratio of 60%. Total 318,551 students are enrolled into best Artificial Intelligence schools where The University of Texas at Austin has the largest population with 51,331 students and Massachusetts Institute of Technology has the smallest with 11,376 students. The average graduation rate is 89.00% and the average students to faculty ratio is 14.20:1 at those colleges. Next table shows the academic information and key facts of the best Artificial Intelligence colleges including acceptance ratio, graduation rates, student population, and students to faculty ratio. Next table lists 2017-2018 tuition & fees and compares the costs between Best Artificial Intelligence Colleges. The 2017-2018 costs are officially published by IPEDS, U.S. Department of Education. The estimated costs for year 2018-2019 are calculated and estimated based on each school's tuition rates last year. For the undergraduate programs, the average tuition & fees of best Artificial Intelligence schools is $42,462 where Cornell University has the most expensive costs with $52,853 and University of Illinois at Urbana-Champaign has the lowest amount of tuition with with $31,194. The average graduate tuition & fees of best Artificial Intelligence schools is $34,328 where Massachusetts Institute of Technology has the highest tuition with $52,892 and The University of Texas at Austin has the lowest amount of tuition with with $22,178.